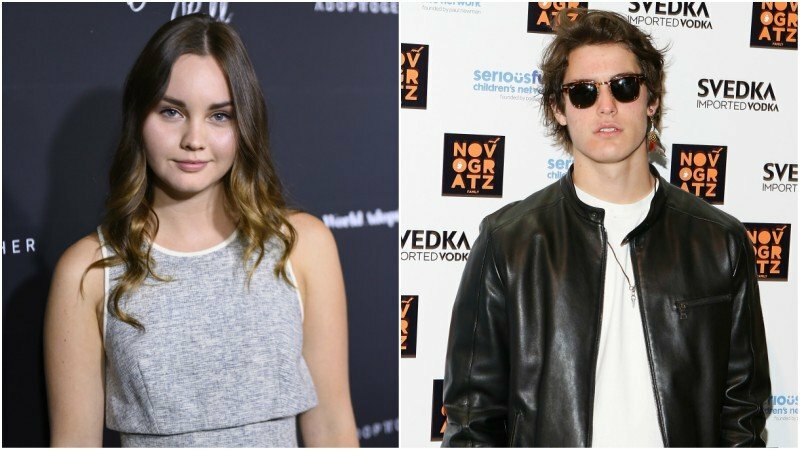 The movie adaptation of Becca Fitzpatrick’s popular young adult novel series Hush, Hush has found its leads in Liana Liberato (If I Stay) and Wolfgang Novogratz (Assassination Nation), according to Deadline. Per the report, Liberato will play Nora Gray, a sixteen-year-old whose life quickly changes when she meets Patch (Novogratz), a mysterious new bad boy in school. Her instincts tell her to stay away from him, but Nora can’t help being drawn to his undeniable charm. As they get closer, Nora finds herself in dangerous inexplicable situations and begins to realize that Patch is actually a fallen angel with harmful intentions. Kellie Cyrus (The Vampire Diaries) will direct the film, which is being written by Peter Hutchings (The Outcasts), and produced by Claude Dal Farra, Brice Dal Farra, and Brian Keady of BCDF Pictures, along with Irfaan Fredericks of Kalahari Film & Media. First published in 2010 by Simon & Schuster, Hush, Hush was on The New York Times bestseller list for 36 weeks and has been sold in over 35 countries with over two million copies in print in the US. Fitzpatrick wrote three additional novels with the final installment of the series, “Finale,” which went on-sale on October 23rd, 2012. The post Liana Liberato and Wolfgang Novogratz Cast in Hush, Hush appeared first on ComingSoon.net.